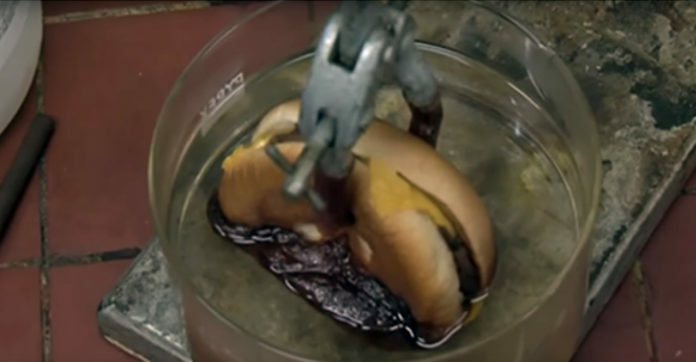 Hear is one experiment that will make you think twice before eating a burger from Mcdonald’s. 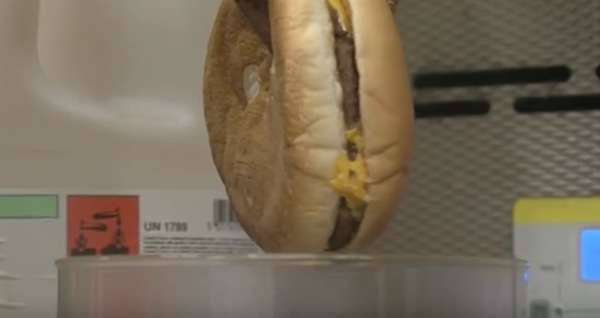 At the University of Nottingham in England, researchers decided to carry out an experiment to see how a burger from McDonald’s gets digested in our stomachs. They used pure hydrochloric acid which is responsible for digestion in our stomachs. 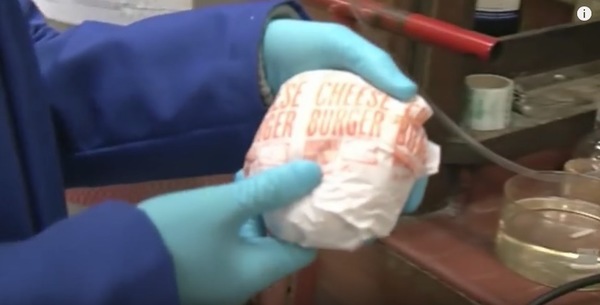 Using a cheeseburger from McDonalds, they left it in the hydrochloric acid for three and a half hours. After the time frame, the researchers were shocked to find that the burger did not disintegrate but became black and slimy instead!